These excellent homeschool writing curriculum options can help your homeschooler excel in this very important area of learning. Writing skills are essential in so many aspects of adult life. Children are expected to write essays for college admittance, and reports will be required throughout college and in the course of business no matter what profession they enter. 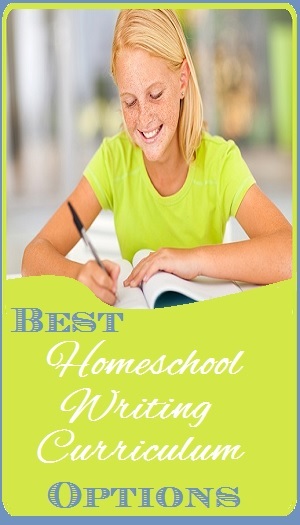 Selecting the best homeschool writing curriculum is important because this curriculum will determine their readiness for all of the writing challenges to come in the future. As you select a writing curriculum, keep in mind where your child is with writing right now and whether they struggle or excel in this area. You should also consider your ability to teach writing and your interest in learning this subject along with your child. Ideally, your curriculum will help your child become a better writer starting from whatever level they may be on right now while expecting a reasonable amount of contribution from you as a teacher. The following writing curriculums are among the best for homeschool families, and one of them may be perfect for your family. This program is our absolute favorite because it teaches you how to teach writing to your child in the most efficient and effective manner. Teaching writing is not easy, even for professional writers! The Institute for Excellence in Writing understands this, and their DVD set can turn any ordinary parent into an excellent writing instructor in a reasonable amount of time. There is more time commitment and involvement required from you as a parent and teacher, but it is worth the investment. The program also includes DVD instruction, workbooks, handouts, and portable “walls,” so there is a complete curriculum for all students from grades three to twelve. This is a great writing curriculum for parents willing to invest time in learning how to become a great writing teacher. It may not fit into the lifestyle of homeschool parents who prefer computerized programs that allow children to work independently most of the time. Brave Writer may not be the complete solution to your writing curriculum needs, but they do offer some amazing resources that will help you educate your child in this subject. The Writer’s Jungle is an excellent parent guide to teaching writing, and the Help for High School guide is perfect for high school kids able to follow the curriculum with limited help from adults. When used as a complete curriculum, you get to choose how to present the material so you can teach your child in the manner they are most likely to learn. High school kids enjoy working through the material on their own and learning how to take thoughts from their minds to the page. This program does not teach only formal writing styles. Your child will learn how to present arguments and voice their opinions, as well as learning formal writing styles that they may need later in life. Whether it is used as a complete curriculum or as a supplement to other curriculums, there are a lot of valuable lessons to be learned from Brave Writer. 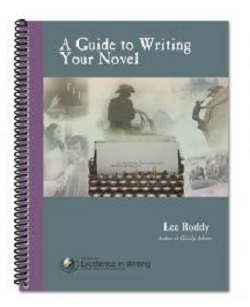 The program was developed by a professional writer! This writing curriculum comes in book form, and each book presents lessons that are easy for children to absorb on their own when parental guidance is not available. You do need to actively look at each assignment and help your child edit appropriately, but otherwise many children can work through the daily assignments without much guidance. You may want to find some supplements for this program, since there is not a lot of instruction or building on skills within the curriculum. This is a great program for homeschool parents who cannot sit with their child through all aspects of their studies each day. It is not computerized, but it allows some independence that usually comes only with computerized curriculums. This online program allows you to sign your child up for eight-week courses with certified teachers. There are lessons at the beginner, intermediate, and advanced level for all grades from elementary school through high school. Once you sign up for a course, your child will be given assignments and learning material online and their work will be graded by a real certified teacher. The teachers are available to answer questions and give feedback on progress as needed. 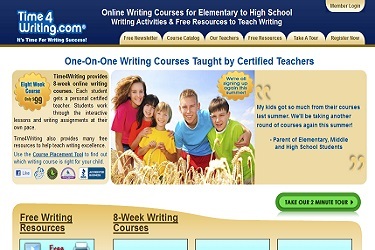 This program is perfect for parents who do not feel comfortable teaching writing on their own. Even if you supplement with lessons you create on your own or find elsewhere, a solid curriculum is presented to your child and everything is overseen by a certified teacher. The best way to determine the best writing curriculum for your child is to educate yourself on your options and then put a couple options to the test. If you can find other homeschool parents who have used a program, ask for their experience with the program. If you can get your hands on used materials for a program, use those materials to test the program before you make a financial investment.